Seemingly everyone is singing praise for Wolf Alice. The North London quartet first came to everyone’s attention via the song “Leaving You” – a download-only track that made its way onto Radio 1 and then proceeded to reach the top of NME’s Radar section and Hype Machine chart. If that wasn’t not enough, Wolf Alice also just completed a successful tour with arguably the most hotly tipped indie band in the UK right now, Peace (read our review of their ‘Delicious’ EP and current single ‘Wraith‘). 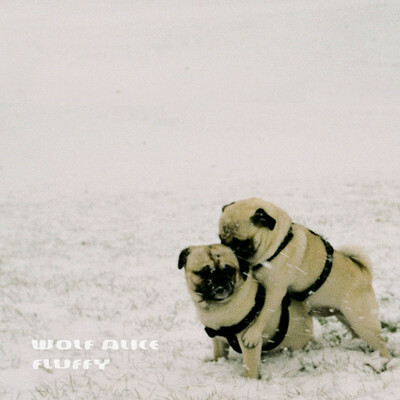 “Fluffy” is the band’s first official single, which debuted on Huw Stephens’ In New Music We Trust on BBC Radio 1 last Friday. It’s hard to believe that the once-trio of Ellie Rowsell, Joel Amey and Joff Oddie – now joined by Theo Ellis on bass – originally started out as a folk act. “Fluffy” is all about its noisy and garage-y sounds; a cascade of cymbals and screaming distorted guitars. Things quieten down through the verses, which features a hushed dual male and female vocal to create a calm before the storm. Yep, it’s during the chorus that Ellie Rowsell lets rip, snarling and shouting over the band’s wall of noise, combining to create a joyous racket somewhere between Elastica and The Joy Formiddable. The track itself sounds like it has been recorded live as a unit with warts and all thus creating a raucous energy and urgency. Be sure to listen out to the section from 2:00 – 2:15 where traces of the band’s folk roots can be found in Rowsell’s vocal melody. A thrilling, noisy, and addictive slice of pop, “Fluffy” will be released as a 7″ single and download on 11 February, 2013 through Chess Club Records. Pre-order now from Rough Trade.